A 100% Secure Web Point Cloud Sharing Platform. Easily share points clouds and 360 imagery via the web to enable users anywhere to directly view, measure and extract 3D coordinates from the point cloud. VisionLidar 365 can be deployed on your in-house server or your own cloud infrastructure, you have complete control to share the data widely with the public or lock it down for internal use only. Images and point clouds can be seen in one overlaid view, which can be used for navigation or to create transverse profiles, increasing the efficiency of daily data handling and extractions. Share your Lidar project and 3D imagery on multiple devices. It’s a 100% responsive platform. Publish to the web and mobile devices your GIS portfolio of 3D data from point clouds, imagery and documents in PDF, etc. Online simple and powerful measuring of points, lines, height, width, perimeter, area, and volumes. Universal overlay of 3D images on the point cloud from (FARO, LEICA, BLQ, Teledyne, Jakarto, Topcon, Z+F). Share 3D measurement with your team and client. Overlay vector data (points, lines and polylines) over maps and panoramas. Easy inventory of assets with PDF and other file attachments. Area map of the project. Looking for a Point Cloud Processing solution? 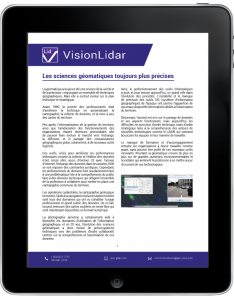 Discover our VisionLiDAR software.